Al Ula FZCO was established in 2005 Dubai Airport Free Zone/ Dubai, UAE, as major supplier of electrical, electronic goods, distributing and transforming equipment with a large experience and capabilities in the supply, installation and commissioning of all what concerns electrical power generation and transmission supply. 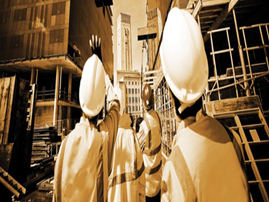 Al-Aali Contracting Company’s experience in site evaluation enables us to assist our Clients in site selection by preparing site work budgets prior to expenditures for surveys, grading plans, utility plans, or soils reports. We work closely with our clients to determine the issues of each individual site with regard to governmental issues, permitting, infrastructure, site layout, utilities, and scheduling.